Hi! We are opening a retail location for our chocolate business this spring, and are in the market for temperature/humidity controlled chocolate display cases. 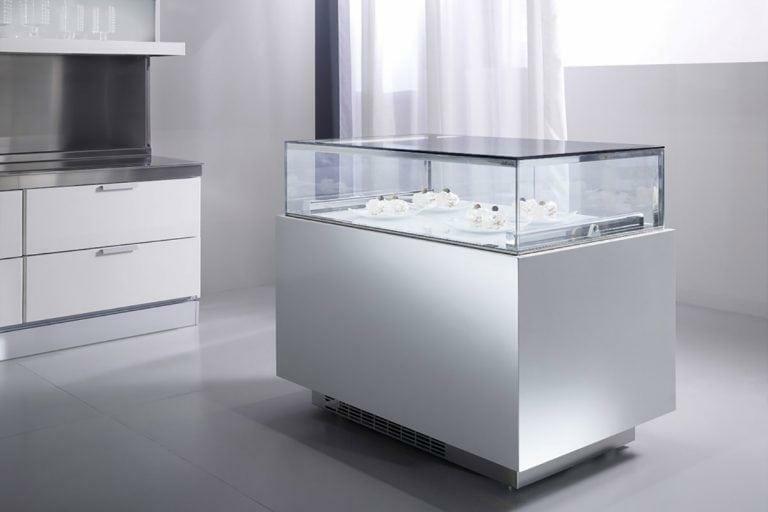 We prefer the jewelry style displays. Everything I've looked at in the U.S. is so expensive (over $10K). I'm willing to invest in quality but I also have a budget for this project, that I'd like to stay within. Does anyone have recommendations for U.S. vendors who you feel provide good value and service? I'd also be open to buying used cases if we found the right one, but then I'm concerned with how to get it serviced if anything goes wrong (same issue with the Asian ones). Attached is an example of the type of cases we're looking for. I appreciate any help or advice! Have you posted this question on The Chocolate Life forum/classifieds? If you don't know that site, it's https://foodmaven.io/thechocolatelife/. It's moderated by Clay Gordon, who (along with others on that forum) knows a great deal about equipment related to chocolate. If you don't get the information you seek on eG, you might try that. I know someone who has a case like that they are looking to sell. It's in Canada. Thanks so much, Jim! I didn't know about that site but I will definitely check it out. Thanks, Kerry! Do you know if it's in Western or Eastern Canada? If Eastern, it may be feasible (I'm in NJ). Would love more info. Thanks! One additional thought: If you go to the archive of The Chocolate Life (it has fairly recently moved to its present format, but the old forum was really useful), there is this link, where Clay Gordon mentions his relationship to a display case manufacturer--and that company is located in New Jersey, no less! Might be just down the block from you. Oh fabulous! I knew of them but didn't even know they were in NJ. I will definitely reach out. Thanks again!! Ontario.Asking him to get you a picture. That would work. I'm definitely interested.